Year 6 Graduation Party – Save the date! Jenny Bates, a parent, has volunteered many hours to create a wonderful coastline mural for our sandpit. Our children (including Room 9 in the photo above) have thoroughly enjoyed watching the progress over the last few weeks. Jenny plans to do a bush scene on the other side of the wall and we can’t wait to see that take shape. Thank you Jenny for making a difference. The NZEI has indicated that its members have not accepted the government’s latest offer and that rolling strikes are now planned across the country. Please note that our school may be closed on Monday 12 November. We are expecting further information and will update you as soon as we can. I have spoken to a number of students over the last fortnight who have found the Life Education Classroom sessions really enjoyable and worthwhile. I hope you have had time at home to talk about this learning. Jayden Wang, Rebecca Tapson, Matthew Tapson and Paige Elmer-English. Understand that we are unable to accept requests for specific teachers. After several drafts, it is checked by all team leaders before final sign off by the senior leaders’ team. 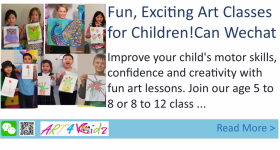 This usually takes until the end of term when we advise parents of the 2019 classes. The Room 14 and 15 classrooms are scheduled for a roof replacement in the summer holidays which is a part of our long term maintenance plan . A damp musty smell has prompted us to engage a specialist company to conduct an air quality test and the results indicate that the spore count in Room 14 is higher than it should be. For some people this may cause headaches and flu-like symptoms. For this reason, Stuart Dean and the children in his care moved out immediately, just to be careful. The investigation into the problem may take several weeks.Room 14 is locked until it has been repaired and achieved a follow up test that indicates it is safe to use again. The results for Room 15 indicate that there are no concerns about the air quality in this room. We want our girls to be encouraged, prepared, confident and resilient. Girls club will be a safe place for your daughter to learn about ways she can prepare herself for the roller coaster which is friendships and self-confidence. I want young women to be empowered to take on any challenge, discrimination and choose any occupation they want to. I will be running a three-week girls club this term. It will run over three lunchtimes on a Wednesday in weeks 6, 7 and 8. Over these three weeks, we will be covering self-confidence, what a healthy friendship looks like, and healthy conflict. Year 6 Graduation Party- 6-9pm – Mairangi Bay Surf Club – 7 December 2018! – This year’s Year 6 only event is a fun end of year event for the kids to celebrate their end of Primary School. Games, pizza dinner, dancing and fun! Look out for the invite coming home in the kids school bag next week. First ticket sales Friday 2nd – $25 a ticket – Galaxy Drive Gate from 8.30-9am. Please note that this is not a school event. It is an extra event for Year 6 only and it is organised by parents. The Mobile Dental Van will be visiting our school this week to examine children who are due to be seen. If you wish to discuss further, please ring your local Dental Clinic (Forrest Hill Dental Clinic) on : 09 410 7361. Welcome to the busy, festival term of performances. Our performance night is Wednesday 14 November. Arrive at 8pm Auckland Town Hall. Ukelele Festival Saturday 17 November 12noon – 3pm Trust Stadium, Waitakere. Our dress rehearsal is on Tuesday 20 November (morning). Our performance night is Wednesday 21 November 7pm. Auckland Town Hall. Tickets ordered last term should be arriving in the next few weeks. Music groups will be performing at this concert. 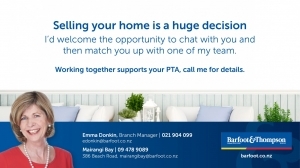 Mairangi Bay Business Association will be hosting this event on Wednesday 12 December 6pm. MBS Christmas Choir – for Middle and Senior children will be on Thursday 29 November and 6 December 1.30pm. UkuBays ukulele group and more. Thanks for your commitment to the Music at MBS. 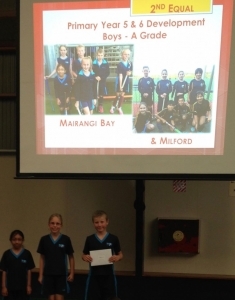 Meera, Emma and Harrison recently accepted an award on behalf of the Mairangi Bay Y5/6 Development Hockey team. The award was presented for 2nd equal, Grade A, at the North Harbour Hockey awards evening. Year 6 Parents – It is that time of year again when we are gathering information for our End of Year awards. If your child is a rep level sportsperson, either regional or national, that would help us in our evaluation of best overall sports boy and sports girl, please email Kathryn Hohaia by Friday 9 November. PTA SUMMER SOCCER: HUGE thank you to everyone for making our first ever Summer Soccer event on Friday night such a success. Summer soccer will continue this Friday 2nd November, followed by a week’s break. There are NO GAMES scheduled for the 9th November. A reminder that you are invited to either bring your own food or partake in our barbecue offerings, BYO drink and a picnic blanket to combine soccer and family dinner in one easy evening! 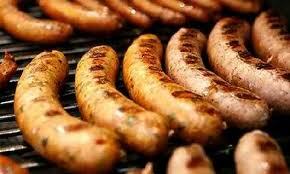 This week we will be providing both ordinary sausage and bread plus a gourmet sausage option in Ciabatta with salad, and also burgers. More information to follow by email. Our soccer teams are now full, but EVERYONE WELCOME to come along for the atmosphere and family picnic side of things, and to play casually once all the scheduled games are finished. XMAS HAMPER RAFFLE: With Christmas just around the corner we are once again celebrating with out annual “Christmas Hamper Raffles”. In order to put the hampers together we rely on each family to contribute suitable hamper items, starting Thursday 1st November. 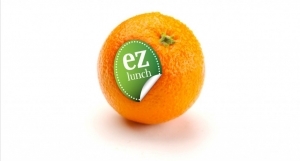 Simply send your item to school and place it in the collection bucket in your child’s classroom. Sweat Treats – Biscuits, chocolates, confectionery. Raffle books of 10 tickets will come home on Friday 2nd November for each family to sell. Tickets are $2 each. St John’s School Gala – St John’s School PTFA extend a warm welcome to all local families to their annual gala on 9th November, from 4pm to 7pm on the school grounds in Mairangi Bay. A fun night out for all the family, the gala offers a wide variety of stalls, activities and kids’ entertainment, live and silent auctions, books, toys and white elephant as well as preserves and garden stalls. With a food court and an enormous cake stall, your dinner is also covered. Hope to see you there! 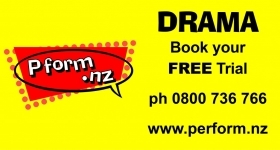 Parent Help is a non profit organisation supporting parents to build resilient and positive families/whānau. We run a free confidential parenting Helpline for parents and caregivers. The Helpline is available from 9am – 9pm, 7 days a week providing advice, support and practical strategies on any parenting challenge. 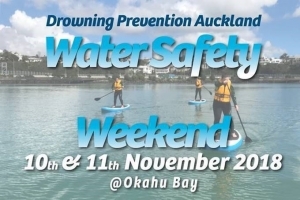 Free – Drowning Prevention Auckland’s Water Safety Weekend is around the corner!